My children want to read books about children like them – homeschoolers. This short chapter book, also made into a movie, is about a young homeschooled girl who lives on the most beautiful island in the world (its location is a closely guarded secret) with a marine iguana, a sea lion, and her scientist dad, Jack. Homeschool Share offers a FREE UNIT STUDY for this fun book. A chapter book about the pioneer days of the infamous Half Pint, including her school-at-home adventures. Homeschool Share has a FREE LAPBOOK to go with the story. This lovely picture book tells the story of a lighthouse keeper’s daughter living and homeschooling on a Maine island. Download a FREE UNIT STUDY for this book at Homeschool Share. A picture book describing the childhood of Abraham Lincoln, including his early homeschooling and love for books. A FREE UNIT STUDY and LAPBOOK can be found at Homeschool Share. Did you know that Leonardo da Vinci was homeschooled? Yep! This story tells how Leonardo da Vinci earned a commission from the duke of Milan to create a sculpture of a bronze horse three times larger than life to honor the duke’s father. FREE UNIT STUDY and PRINTABLES can be found on Homeschool Share. The childhood of another famous homeschooler, John James Audubon, is depicted in this beautiful picture book. You can see Jen’s complete review here and a Free Unit Study for the book here. Beatrix Potter was also homeschooled! Homeschool Share offers a FREE MULTI BOOK UNIT and PRINTABLES for the wonderful works of Beatrix Potter. For more books about homeschoolers visit Homeschool Literature. 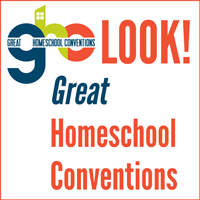 So folks, what are your favorite books about homeschoolers? ← Birds of a Feather Unit Study Giveaway! Some excellent reading and studying ideas here. Thank you SO much 🙂 Freshly inspired! Thank you for a great list! I just want to add a book that was published by a friend and fellow homeschooling mom here from Cape Town, South Africa, Taryn Hayes. “Seekers of the Lost Boy” features a homeschooling family of four who discover a message in a bottle on Muizenberg beach, which leads them on a wonderful adventure where they learn about an important era in our nation’s history, and ultimately, about Jesus’ redemptive love. Here is the link: http://www.amazon.com/Seekers-Lost-Boy-Taryn-Hayes-ebook/dp/B00DST85BQ/ This is a living book in the truest sense and a great way for international reader’s to discover more about South Africa. God bless! Good additions to the list, Tristan! Thanks for sharing!